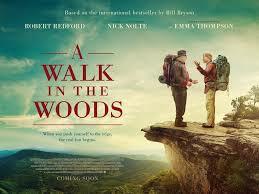 A Walk in the Woods is essentially a two-hander piece between Robert Redford’s Bill Bryson, a travelling writer who teams up with his old companion Stephen Katz (Nick Nolte) for a hike along the 2,000 mile-plus Appalachian Trail. Bryson is a sarcastically funny cynic who has his life in a certain order that has become mundane for him, whereas Katz is a grumpy recovering alcoholic who still tries to re-live and remain in his more youthful days. Their contrasts can appear a tad caricature like, but their acting ability, charm, and on-screen chemistry binds the film together well. 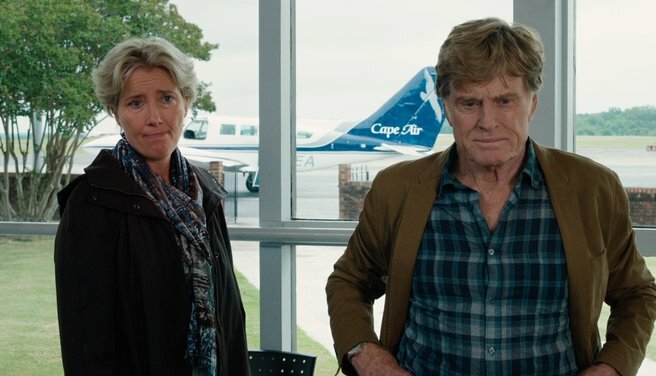 Its a nice witty, little jaunt of a film and while some could be of the opinion that Redford might have wanted to make a bit of an environmental statement here (I disagree), Nolte keeps us entertained all through till the end. Seeing Emma Thompson is always a delight as Redford’s wife Catherine Bryson, but it’s truly Kristen Schaal as Mary Ellen, the annoying, obnoxious fellow traveler whom talks endlessly and knows all, that brings the most to her small, albeit scene stealing role. 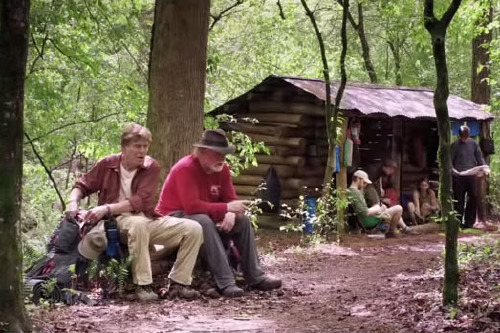 (l to r) Nick Nolte stars as Stephen Katz, Kristen Schaal as Mary Ellen and Robert Redford as Bill Bryson camping along the Appalachian Trail in Broad Green Pictures upcoming release, A WALK IN THE WOODS. As you might expect, yes there are a few lullsy moments throughout the film but A Walk in the Woods is no Wild nor does it try to be.. it’s more ‘The Odd Couple’ on a roadtrip – buddy type film with Redford as Felix and Nolte as Oscar. It’s a safe bet that will appeal to a older audience, though they might be a bit surprised with some of the language by these two wonderful actors and while very sweet..I would definitely put it in the category of “sweet & nice” which is a perfectly okay way to spend a few hours!! What a fun fun movie this was!! 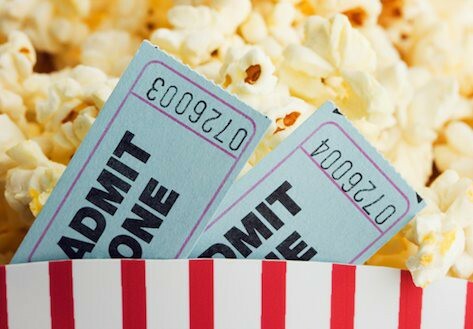 It really was…I mean fast-paced, energy galore, some new characters all added up to make this movie a great ride. Now if only they didn’t cast Scarlett Johansson in it. :O She is seriously one of the most boring actresses out there..and no different in this movie..SHOW SOME EXPRESSION SCARJO! (she says she hates being called that soooo). I mean it’s the same acting job in this as ‘Lost in Translation’ (which I actually liked) and every other movie inbetween. 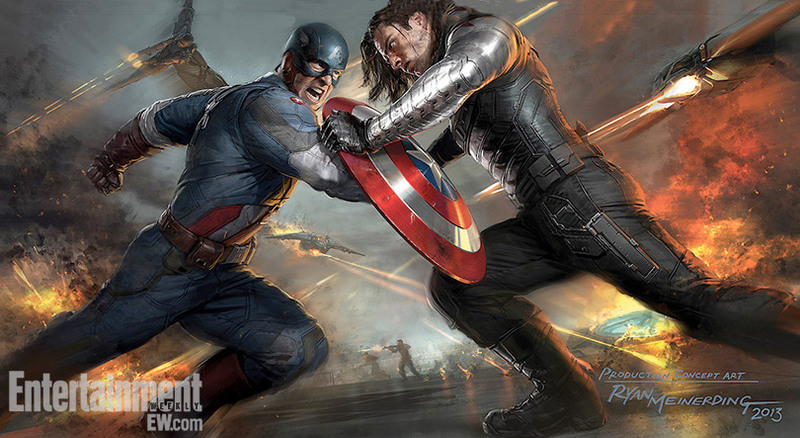 But to the movie, Chris Evans (Capt.America/Steve Rogers) really goes after it this time around. It’s a solid superhero performance that to be honest, I wasn’t expecting and enjoyed it immensely along with a new side-kick ‘Falcon/Sam Wilson’ *Anthony Mackie) whom I also really liked. They created Falcon/Sam’s backstory quickly enough to let you know where he was from and where he was going, to make him completely like-able and believable. And yes, Emily Van Camp has a small, albiet decent role here also, and no one in this movie is going to win an Oscar here or Best Picture etc.. it’s just fun and entertaining, again, what more can you ask for!